Northwest born and raised, Jeanette began acting in plays as a young child. She studied Theater at Cornish College of the Arts. Soon after, she signed with Topo Swope Talent Agency and began booking all sorts of industrials, commercials, films and voice-overs. She also performed on stages all around the Seattle area. Jeanette worked a lot with the A.C.T’s young playwright festival and taught at Sweet Pea Cottage for 2 years. 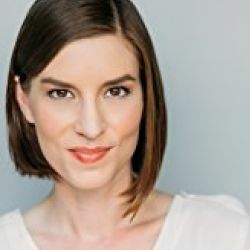 Since moving to LA, Jeanette has been studying at John Rosenfeld Studios, The Groundlings and taking sketch writing classes with Guy Stevenson.